Cessé arrived at the projet in December 2007 at about 2 years old. He arrived from the Evaro lakes region (central Gabon) along with Eliwa (see below). He was found caged at a local market destined to be sold. 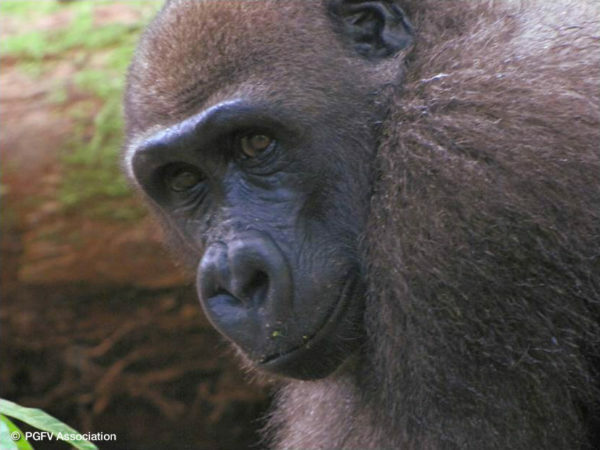 His gorilla family apparently comes from a forest nearby Njolé. Like all other orphans at this project, Cessé has lost his family, his home and his freedom. He has, however, now joined a group of 7 other orphans which will hopefully be reintroduced back into the wild. Cessé loves to play games and to forage in the forest.